When you think of cheese in Tuscany, think of sheep. Just about all the Tuscan cheeses available in the United States are versions of pecorino Toscano, Tuscan sheep's milk cheese. Though that may make them seem one-dimensional, Tuscan pecorinos vary quite a bit. But Tuscan pecorino isn't the same as sheep's milk cheeses from other parts of Italy. Tuscan pecorinos have a shorter and cleaner profile. 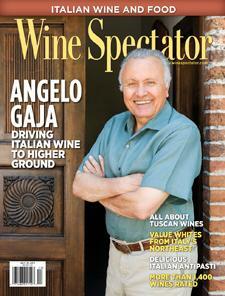 Wine Spectator's Sam Gugino explains.